Nigeria is a growing economy, is ranked 27th largest economy in the world in terms of nominal GDP, and the largest economy in Africa. It is forecasted that Nigeria will be one of the economic giants like Turkey, Mexico, Brazil and India in a few decades to come. Nigeria is the behind brain the birth of Africa Union and a member of international organisations like the United Nations (UN), the Common Wealth of Nations and Organisation of Petroleum Exporting Countries (OPEC). In terms of agriculture, the country ranks sixth worldwide and first in Africa in farm output. The sector accounts for about 18% of GDP and almost one-third of employment. The major agricultural products in Nigeria includes cassava, corn, cocoa, millet, palm oil, peanuts rice, rubber, sorghum, and yams. Nigeria’s industries have really helped the country in topping developing economies. Nigeria can only attain self-sufficiency if it exports more than it imports. Naira will gain more value if Nigeria exports more to other developing countries by establishing and supporting the growth of local manufacturing industries. I will look below at the top major industries in Nigeria. Agriculture is the lifesaver of a country, it is very important to the economy. This industry has boosted Nigeria’s economy to the extent that we are among the top agricultural countries in the developing economies, courtesy of this sector. Agriculture has helped Nigeria to provide food for its citizen without depending greatly on imported goods for survivors. It also provides jobs for our working class, which have helped in curbing unemployment. This industrial sector has several subsectors, which include crop production, livestock and one unit that covers hunting, fishing and trapping. The music industry has developed greatly over the last two decades. Music in Nigeria has different types, we have the reggae, hip-hop, R & b to mention a few. This sector has lifted the image of Nigeria globally by making other countries of the world take note of us. This particular situation has boosted our morale to the extent of giving Nigerian opportunities to tour and perform concert globally. Doctors, pharmacists, nurses, etc. are all parts of this industry. It is very large and important to our economy. This sector deals with preventive, diagnostic, therapeutic and remedial measures, medicine, medical equipment and supplies. Hmmmn I’m glad to tell you that very soon our movie industry will reach the stage of Hollywood. We are already familiar with all the animations and editing being done in Nigerian movies. This industry and the services they perform cannot be under-emphasized. They serve as a source of information between Nigerians, not only that, they serve as a source of public opinion for the government to know the needs of the people and channel their resources in providing those needs. This industry fights against losses. That is what they are meant for. It is an industry whereby the government or individual pay some certain fees monthly or annually known as premium. Any time a loss occurs, it will be indemnified depending on the insurance policies or agreements reached. We have two types of oil and gas industry here – the upstream and the downstream. The upstream deals with the extraction of crude oil while the latter deals with the refinery and distribution of crude oil. This sector is important to the economy just like the way agriculture is and helps the country to be financially buoyant by selling superfluous commodities to other countries for foreign exchange. It also encourages our foreign reserves. We have the NNPC – Nigerian National Petroleum Corporation owned by the Federal Government and plays a vital role in the distribution and regulation of petroleum products in the country. 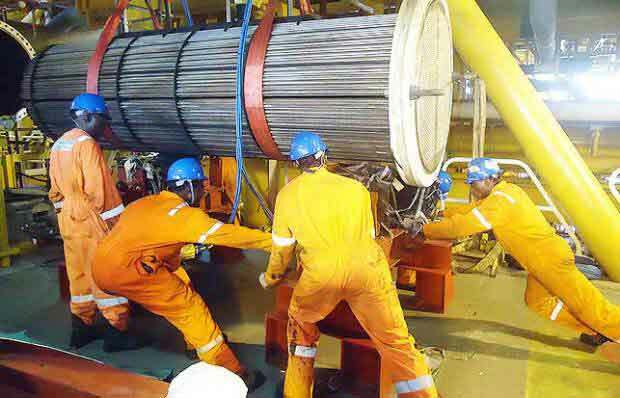 The major private oil and gas companies in the country include Shell, Exxon Mobil, Chevron, Agip, Total and Texaco. When we talk about utility, we talk about the Lagos Waste Management Authority(lawma), water cooperation authorities, electricity authorities, etc. This industry helps the economy to be a better place by making lives easier for the citizens. The main activities of this industry are to provide services to the member of the country and serve as a means of employment. Since the world is now in the computer age; this industry helps to facilitate information dissemination. They do this by email, fax, social media, unlike the media and broadcasting industry which you only listen to on air or which you only see the visual representation displaying. The internet is also a good example of the ICT. It also helps Nigerians to communicate with other countries in the world to foster innovation and bilateral relations. Telecommunications companies like MTN, Globacom, Airtel and Etisalat are under this industry. This is the buying and selling between countries. This industry is in charge of that. The buying and selling are done mainly because of the insufficient resources of a country or because of the lack of resources in a country. What I mean by natural resources are gold, diamond, etc. They serve as a money making machines for a country as some of these natural resources are exported for a huge amount. Nigeria as a country is lucky to have natural resources. Some countries are dying to have what we have but they don’t. This industry fosters a cordial relationship with other countries. These goods are just like derived demand – they are meant to provide goods for further manufacturing uses. Industrial goods are capital goods and they are machinery, plants, etc. Some industries need some of this capital resources to boost productivity. The main products of this industry are capital goods, such as machinery, electrical equipment, and engineering, building products and even defence and aerospace. Industrial goods manufacturers provide their products for other industries, as well as to consumers directly. They are goods meant for immediate use or consumption. Examples are cars, bicycle etc. This industry helps in producing them. This includes manufacturers of cars and car parts, beverages (both alcoholic and non-alcoholic), personal electronics, foods, tobacco, household products and durables, textiles and clothes, as well as toys and games. This deals with selling of land, properties. This industry deals with that aspect. Real estate deals with infrastructural facilities also like housing. This industry only deals with performing services to humanities, they are quite related to the utility industry. They perform services in order to get money and this will improve the economy of a country. Banking Industry in Nigeria started during the colonial era with the establishment of Colonial Banks to serve the commercial needs of the Colonial Government. Banking system in Nigeria is regulated through the Central Bank of Nigeria. This apex bank started operation on July 1, 1959. Banking industry in Nigeria is responsible for holding the financial assets of individuals and businesses. Popular tourism events in the country include the December Carnival in Calabar, Argungu Fishing Event in Kebbi and Ojude Oba in Ogun State. The industry is said to provide about 5-7% Gross domestic Product (GDP) to the country.